that is helping families with sick and injured children? Then Ronald's Big Calendar of FUN is the perfect gift. Calendars are ONLY $3 each and full of activities, fun and discount vouchers for the whole family. 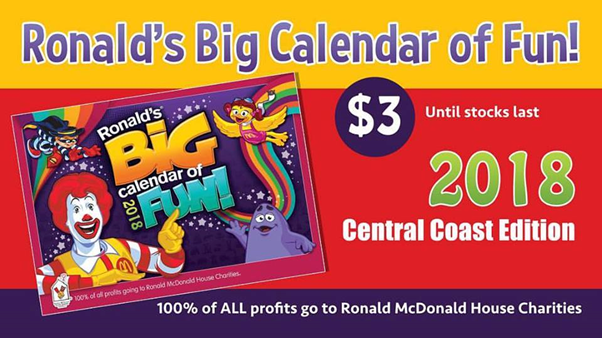 They are on sale now in ALL Central Coast McDonald's Restaurants or the Ronald McDonald Family Room.100% of ALL profits go to Ronald McDonald House Charities Northern NSW.